S.G. Redling is a veteran of morning radio, an avid traveler, and a more avid wine drinker. The thriller Flowertown (Thomas & Mercer, 2012) was her first novel. After only six weeks on Amazon, Flowertown broke Kindle's top 10 and sold more than 50,000 copies. Her second novel Damocles (47North, 2013) hits the sci-fi shelves May 28th, 2013. Discover seven cool things about S.G. Redling! 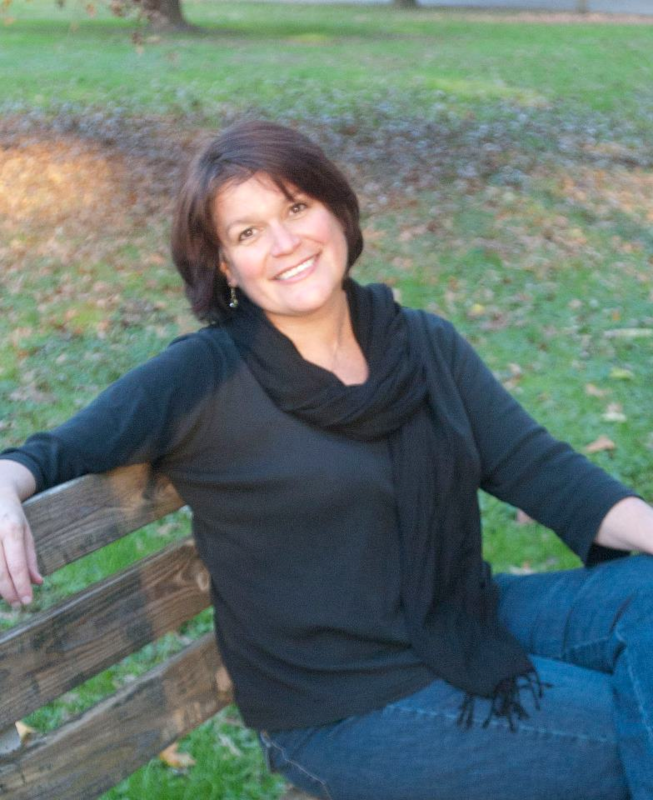 She will be answering your questions for the next two days, so stop by and take advantage of this great chance to learn more about her writing journey and deepest, darkest secrets for creating riveting thrillers and sci-fi novels. 1. My Great-Uncle Pat is an important figure in the history of Lawn, Newfoundland. He alerted the town to head to high ground when he didn’t like the look of the sea. A tidal wave rolled in hours later, wiping out most of the town. No lives were lost. 3. I was the first female PA announcer in the East Coast Hockey League. 4. I met Andy Warhol. 5. I worked as a sheepskin packer in Truckee, California. 6. I am an ambidextrous watercolor painter. 7. The sight of a bat flying overhead will instantly reduce me to a flop-sweat-soaked quivering mass of terror. I’m not crazy about rabbits either. Guinea pigs, however, are awesome. 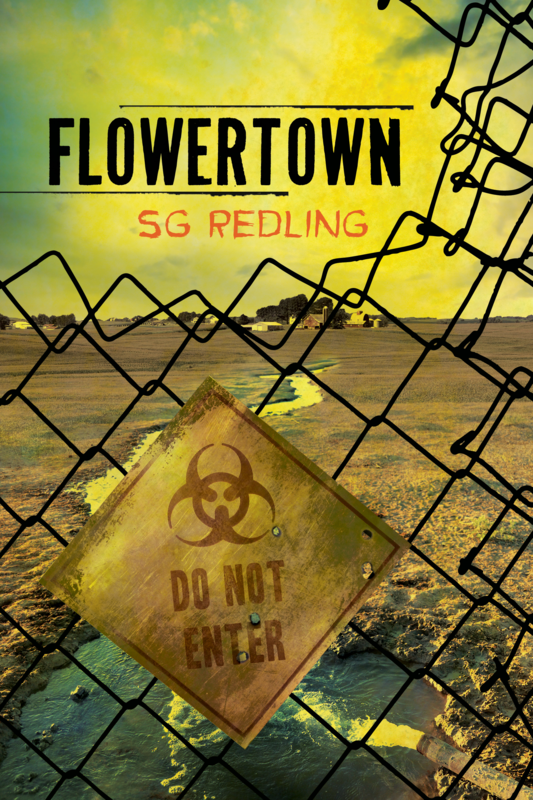 "Flowertown is a high-intensity conspiracy thriller that brings the worst-case scenario vividly to life and will keep readers riveted until the final haunting page." Welcome, Sheila! Thanks for stopping by!! Tell me how you celebrated when FLOWERTOWN came out. As you may know, I take my celebrations very seriously. The time is always right for champagne! But in all the swell of excitement (and anxiety) the morning of the release date, I kept everything pretty quiet. I mean, I had champagne of course - I'm still me! - but I spent the morning on my porch with my old cat Fang thinking big thoughts and holding back big fears. I'm hoping this will be a release day tradition. How much do I love that I have a release day tradition? Hi Sheila! How long did it take you to write the first draft of Flowertown? Did you already have an outline or did you write by the seat of your pants? Oh Kim, in the dictionary under Pantser, you will see my smiling face. (Pantser are we folks who write by the seat of our pants - no outline, no overarching story form.) The nature of the story and the situation in my life at the time of writing it led to a really quick first draft - just over 3 months from start to finish. Of course, I ascribe to Anne Lamott's advice of creating the "sh*tty first draft" so I don't question myself too much on the first pass. As they say, good writing is rewriting! Thanks for stopping by! I have another question: Where did you get the idea from for Flowertown? That's a scary question. I live in Huntingto WV just down the river from what is known as Chemical Valley - a stretch of the Kanawha River which has been home to some of the world's chemical heavy hitters - FMC, Union Carbide, Monsanto. When I was young, I remember very clearly the news reports of chemical spills, boil water advisories, and shelter-in-place orders and they scared the hell out of me. Flash forward many years later as I'm getting ready to write what was going to be a violent dystopian sci-fi novel, I came down with a chronic lung issue. Steroids, inhalers etc had my nerves ratcheted up pretty high and I got to thinking "It really wouldn't take much to poison a population. What if it happened? Medical/chemical contamination can and does happen - could it happen on a large scale like this? What would the world really do?" Remember, at the time I worked in media and I was all too aware of the short attention span of the media mind. It's tragedy of the week. What would be a life-changer to a small segment of the population would be just a passing news blip to the rest of the world. Once I put the premise in place, the story just got scarier and scarier. Ciao Sheila, What's the funniest thing that's happened at a public appearance for Flowertown? And ... who would you most like to write a review for Flowertown online? As for the review? That's tough. I'm thrilled when people I have never met take the time to write a positive review. My goal has always been to touch readers, those real book junkies who just love stories. Flowertown seems to have crossed more than a few genre lines - I've got mystery lovers, conspiracy nuts, sci-fi fans, thriller fans giving it a try and that means the world to me. Of course, I have my heroes. If it ever turned out that Neil Gaiman, Lawrence Block, or Joseph FInder ever said something positive about my book, I'd probably die in an all-out nerdgirl squeal. Sheila: I LOVE your seven things. I love them so much that I want another seven. Pretty please? 1) I'm a bird nerd - caught the habit from my father. To date I've recorded 26 different varieties in my yard and can identify many of them by sound. Yes, I'm that much of a bird nerd. 2) I was in the first group to graduate from Georgetown University with a minor in Women's Studies. 3) I can and do quote Blazing Saddles and Young Frankenstein almost in toto and altogether too often. 4) I once jumped off a moving train in Hungary. I came THIS CLOSE to sticking the landing. Dang it! 5) I decoupage at ninja level. 6) I was once the honorary mayor of Sciotoville, Ohio. 7) I am friends with such impressive WV writers as Laura Treacy Bentley and Marie Manilla! And I have a loooong memory. Woohooo! Another fantastic seven things. You are livin' la vida loca, chica. Love it! Okay, I have to know your Andy Warhol story! fantastic about your book. Do you have any understanding of why/how it went BIG on Amazon--apart from the fact it's fabulous!